There is a frenzy in the air today. By now some of you are probably checking the weather forecast every hour, or, like me, thinking of how you’re going to entertain children (or a spouse!) for an unforeseeable amount of days. …We are preparing for the storm, but we are not alone! Hurricane Florence is a category 4 storm and is slated to make landfall Friday morning. The Triangle may receive between 5-15 inches of rain Friday-Saturday, with a potential for heavy winds, flooding, and temporarily disrupted communications. Our primary objective as a faith community during this time is to work together to keep all of us and our neighbors safe. Therefore, Grady McCallie (Moderator) and I have decided that CUCC will NOT be holding worship services or other activities on Sunday morning. It is our prayer that you will remain safe and connected throughout the weekend. Please connect with a friend, family member or neighbor who lives near you, particularly if you are in a less-resourced community. Let us know if you are feeling unprepared or in need of assistance, so that the church might help you in identifying your network of support, and pray with you during this time. In addition, the United Church of Christ has helpful information on the Disaster Ministries site. As always, many of you will be looking for ways to respond to the needs of our immediate community. Jane Smith has shared an opportunity with us that you may wish to read: Women's Center Needs. 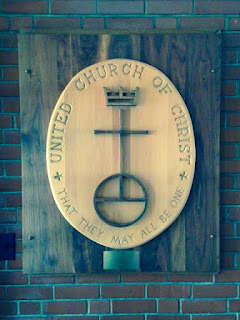 Our hope is that we will be able to communicate via email, and phone over the coming days, and via the church Facebook Group (Community United Church of Christ- please join! ), but with or without direct communication know that we are holding you in prayer, and that "God is our refuge and strength, a very present help in trouble." For a toll-free hotline to speak with a trained specialist, call 211. They can provide you information on shelters, evacuation routes, storm clean-up, volunteer needs, and locating food and water. The service is available 24/7. For road closures, call 511. For Coast Guard search and rescue, call 1-757-398-6700. For help finding fuel/gas, visit gasbuddy.com or download the app. For shelter locations, visit redcross.org or call 888-892-1162. For volunteer opportunities, visit nvoad.org.